Makes cleanup easier by keeping litter inside the box. 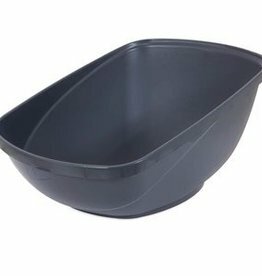 The Petmate® Basic Litter Pan is one of the sturdiest litter pans available due to an exclusive design-break pattern that improves structural stability for added strength and durability. 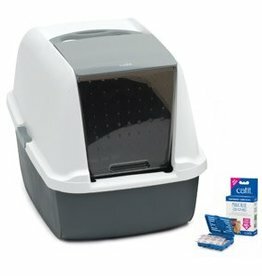 The Catit Magic Blue Litter Box provides optimal air filtration, allowing for privacy while combating the hazardous ammonia gases found in cat urine. 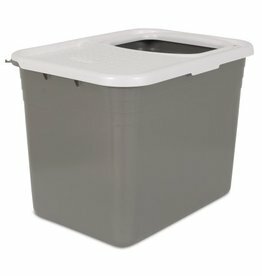 Hi-back Litter Pans help contain litter scatter with the high-profile back side and a lower front side allowing for easy access.